Crocodiles. They are mysterious, ancient and actually very dangerous animals. So, if you’re on the hunt to see these creatures we suggest having a look at our top five picks for safely viewing them. Crocodiles are known to be one of the oldest remaining prehistoric creatures. They even date back to the dinosaur age! These ferocious and wild animals are located in various different spots in Australia, from creeks to rivers and nature parks to out in the wild. So, if you’re a keen adventurist looking for something new to do, just browse through our list to know where you can find these radical reptiles in a safe environment. 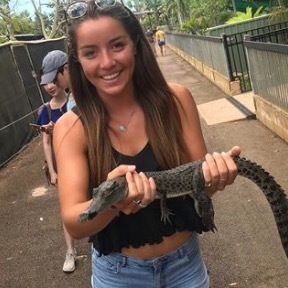 Crocodylus Park is yet another hotspot to venture if you’re after snaps of that highly sought after crocodile photo or video. 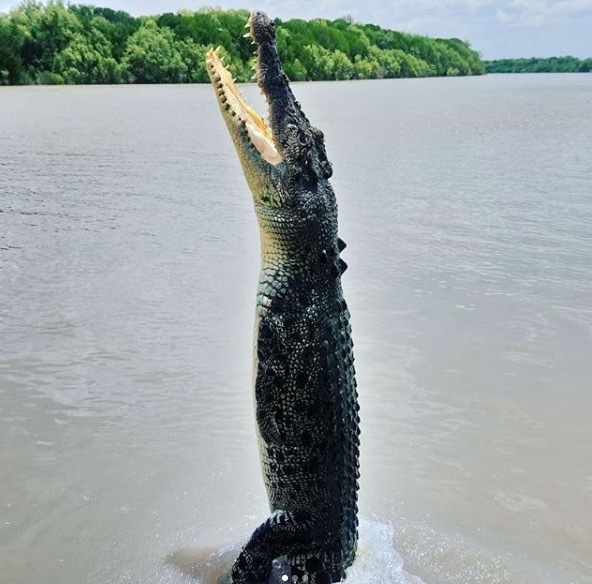 Located just fifteen minutes outside of Darwin, the park has prided itself on thirty years of crocodile research and preservation in Australia. 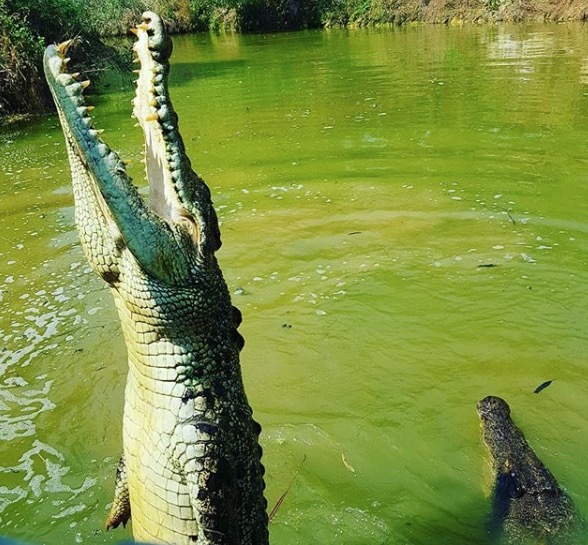 The park also boasts a crocodile museum unlike any other in Australia, and whether you want to see a 30cm crocodile hatchling or a 4-5m long monster, it’s all here! 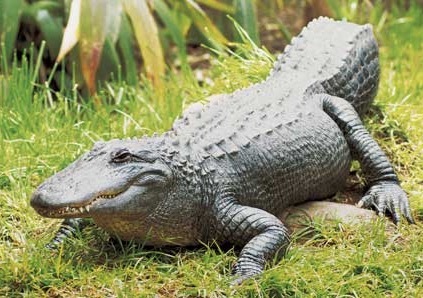 There are two species of crocodiles based at Crocodylus Park, including the freshwater and saltwater crocodile. Don’t forget to see the American alligators also on display. Whilst these crocs and gators are not roaming in the wild, they are safely enclosed for viewing inside special crocodile pens. This allows for safe viewing of crocodile feeding times which are also a huge highlight of any trip to the park. Photo by Shannah Leigh, Jodie Burrage & Tirzah Stam. 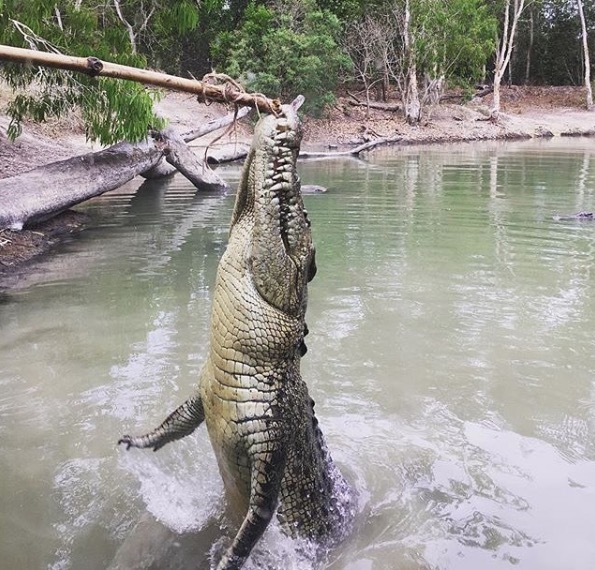 For some of the best crocodile viewing and feeding hit up the Adelaide River in the Northern Territory. 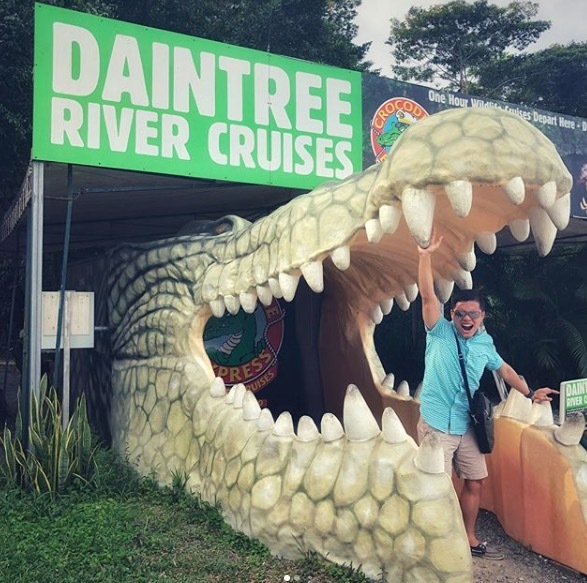 Just over an hour from Darwin, here you can find a special tour that takes tourists and visitors alike out on a river cruise seeking out crocodiles. The Adelaide River is famous for its ‘jumping crocodiles’ which literally leap out of the water. Specially trained tour guides dangle hooks of meat out into known hotspots along the river and it is a sight to be seen. Brutus is the ‘star of the show’ here and is one of the biggest crocs in the area. See him leap right alongside you as you meander through the lengths of the Adelaide River. Make sure to bring along your camera as you snap up a great shot of a truly unique and great experience. Photo by Kahina Bak. Urimbirra open-range wildlife park is situated only a short 40min drive from Adelaide and is a great place to see crocodiles in a safe, secure and enclosed environment. There is the chance to see both fresh and saltwater crocodiles in a fenced off area safe enough to take any photos you desire. Being one of the only places in SA to see crocodiles, Urimbirra is well worth a visit. There are also many other attractions to see besides the crocodiles in the park. Why not also get involved in feeding the kangaroos, cuddling a koala or just take a park map and meander through at your own pace. If you’re still in the mood to see some more reptiles there are even snake handling sessions each and every day. So, what are you waiting for! If you’re in SA, come down and snap up a great time. Coming in at number four on our list of crocodile hotspots in Australia is Hartley’s Crocodile Adventures. Located just an hour’s drive north of Cairns this is yet another crocodile park you do not want to miss! There are a number of crocodile-based activities here including crocodile feeding (by trained professionals of course! 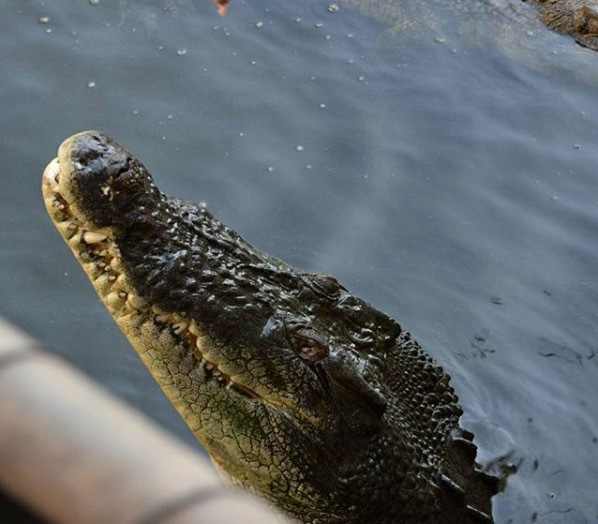 ), a crocodile lagoon cruise for visitors and crocodile viewing at their crocodile farm. Native to the area, you will find estuarine crocodiles as well as saltwater crocs all seen from the safety of viewing platforms. However probably the most entertaining and thrilling part of Hartley’s Crocodile Adventures is the Crocodile Attack Show. On-lookers are shocked and amazed as trained professionals from the park step into the water with a real live croc! All performed with safety, this is where you can really get a chance to be amazed and entertained at the true power of these reptiles. Photo by Julian Martinsen. Another opportune spot for some crocodile viewing is in the Daintree Rainforest. The area is just under two hours from the regional centre of Cairns. Be sure to take a ride on the Crocodile Express where sightseers can find some of the local crocodile population in their natural habitat. In particular, there is a twelve kilometre stretch of the river well-known for sighting the saltwater or ‘estuarine’ crocodile. Be on the look-out for a local favourite and well-known croc named Scarface – your guide will be sure to point him out if nearby. The Daintree River region is also full of world heritage listed flora and fauna as well as a number of rainforest walks. Other reptiles exist in the region too, so see what you can spot! But if it’s crocs you’re after this is one place to stop off if you’re ever in Far North Queensland. Photo by Jason Alacapa.